Our Drystack Panels - Authentic, Durable, Simple Installation. No Mortar required. 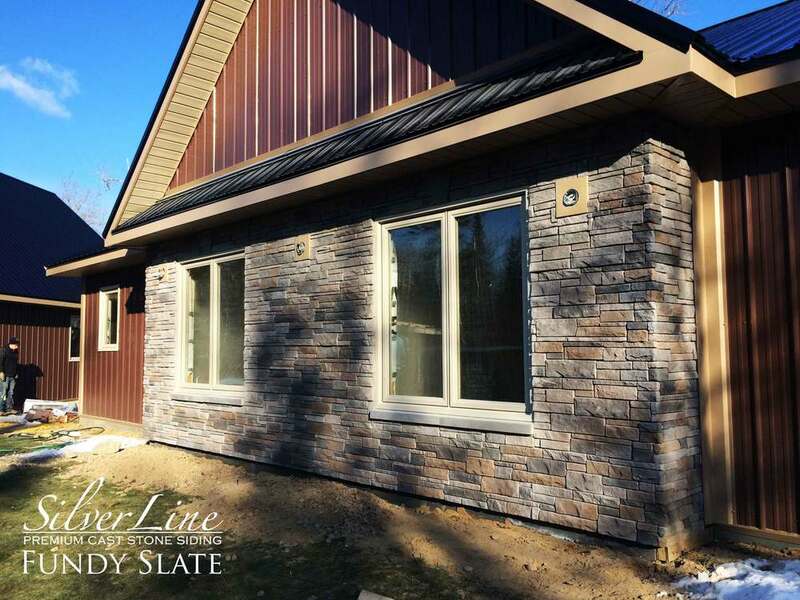 Silverwood Stone has designed and manufactured our Drystack line of products to deliver the uncompromising look of hand laid, hand cut stone, with a simple, secure installation. 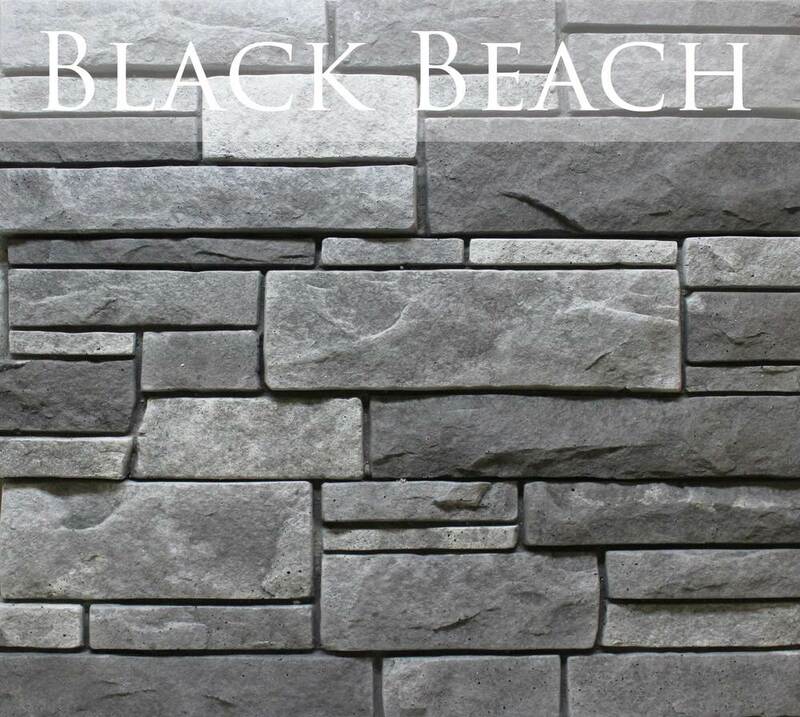 Our innovative product and production processes result in the most natural looking stone on the market today that attaches in a way unlike anything you've seen. Durability. Made in Canada, Made For Canada. 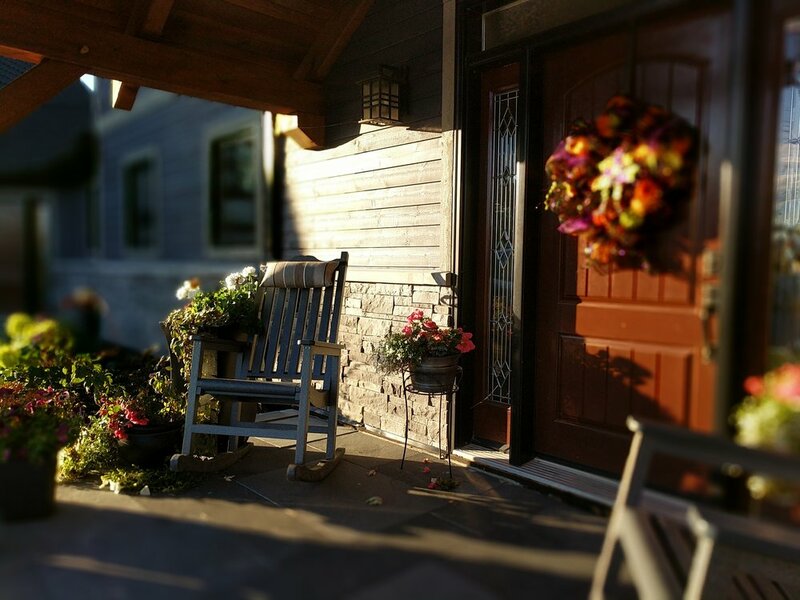 Silverwood Stone products are made with pride in beautiful Fredericton, New Brunswick, Canada, from high-strength, lightweight, concrete, nothing more, nothing less. 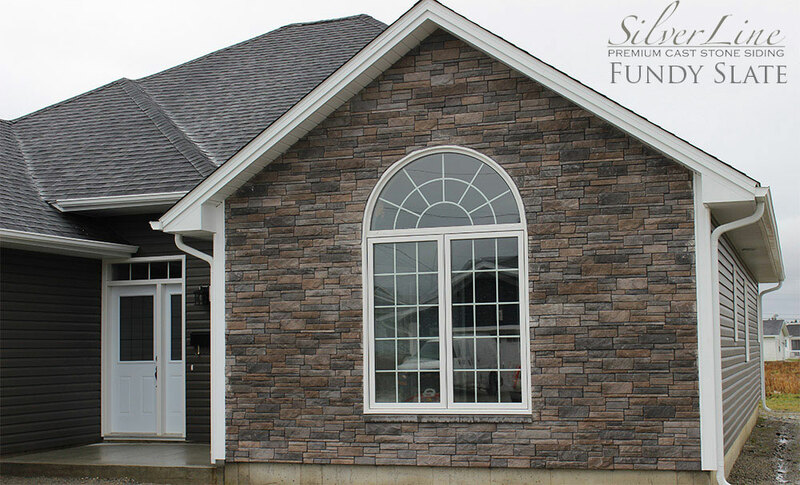 Silverwood Stone products are designed and manufactured to deal specifically to with the harsh Atlantic Canadian coastal climate, ensuring that no matter where your project is in Canada, Silverwood will add value to your home for decades to come. Repels Water Like a Siding. Looks like Stone. Sounds simple, but its a big deal if you are looking to your siding for decades of performance. Many competitive products in the industry do not hold out water as you would expect a siding to. The Canadian climate is like no other, and requires products like no other. 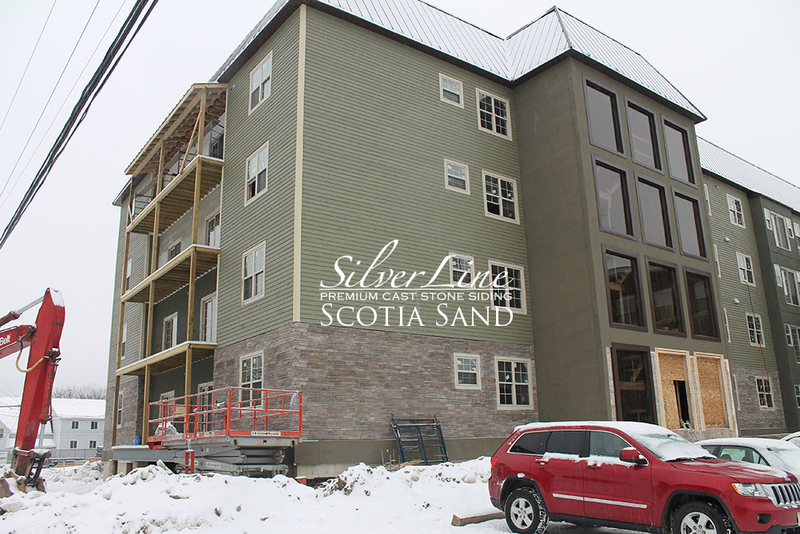 Silverwood products recognise the requirements of Canadian National Building Code 5.6.1.1.1 and provide protection against substantial ingress. Drive screws through rubber inserts embedded in the “mortar joints” of the panel. Rubber encloses the head of the screw as screw-driver tip is withdrawn. Corners, Trims, and utility plug surrounds. These details matter and we have them covered. Our two-piece Flex Corners provide a realistic corner unit that blends seamlessly with our panels or use just Flex Corners alone to build up a beautiful column with no cuts required. 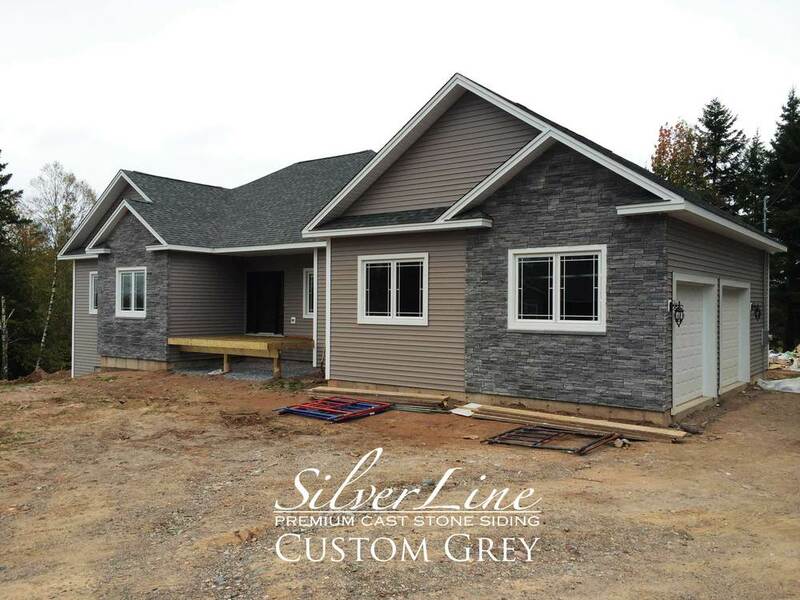 Silverwood Stone manufactures masonry products using the best additives in the industry and strives for realistic color replication and performance. Product images are intended as a guide only and should not be regarded as absolutely correct. As with any building material, we recommend you make your choice of Silverwood Stone product based on actual samples at your local dealer/retailer. 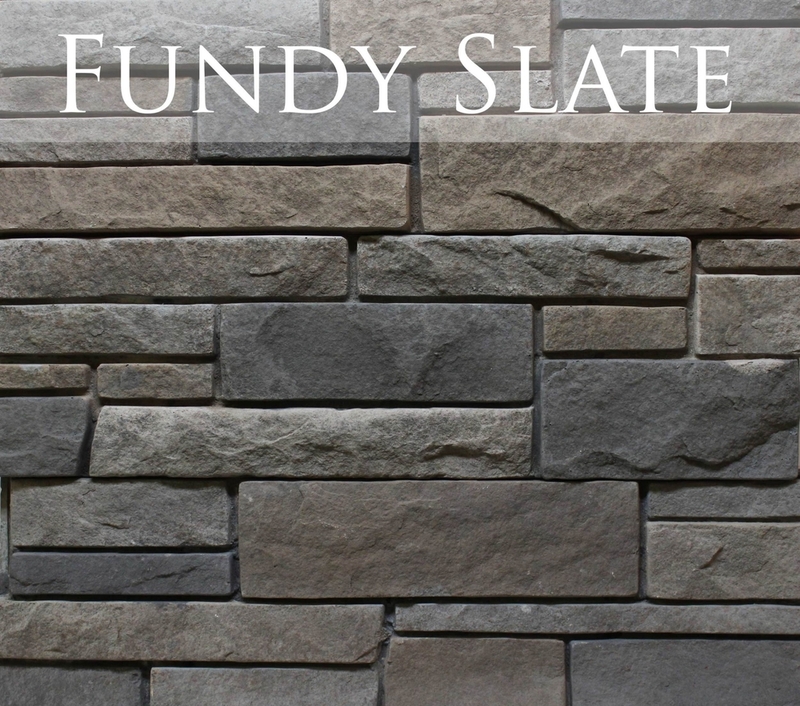 Due to the nature of high-strength concrete slight color variations may occur in the finished product.